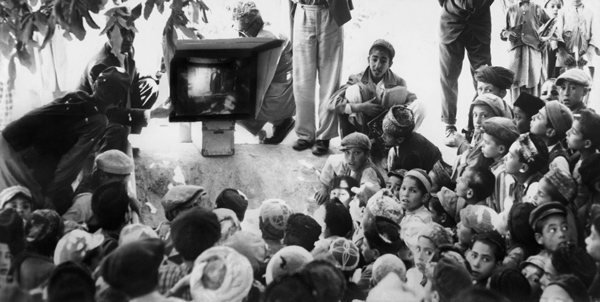 In Small Things Remembered » Students in a village school view a film-strip presentation on a sunlight-powered slide projector. a condenser, a piece of acetate — and sunshine. Total cost: $5.00. Courtesy of the National Archives Still Picture Unit. 306-PSB-S-59-15297-A.